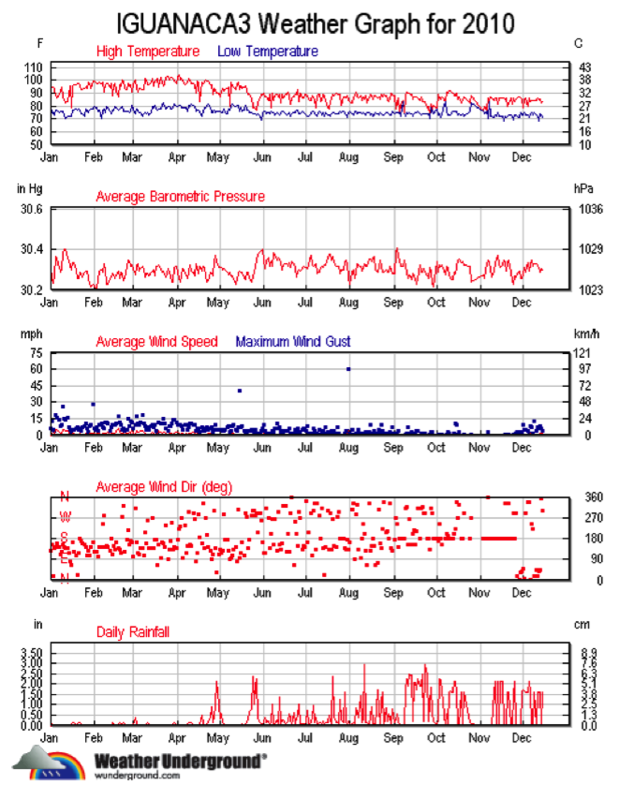 Check out these graphs from a weather station on the Nicoya Peninsula (about 40 miles from Los Suenos). Our temperatures are lower than these, because we’re closer to the ocean... Los Suenos highs rarely exceed 86 degrees. 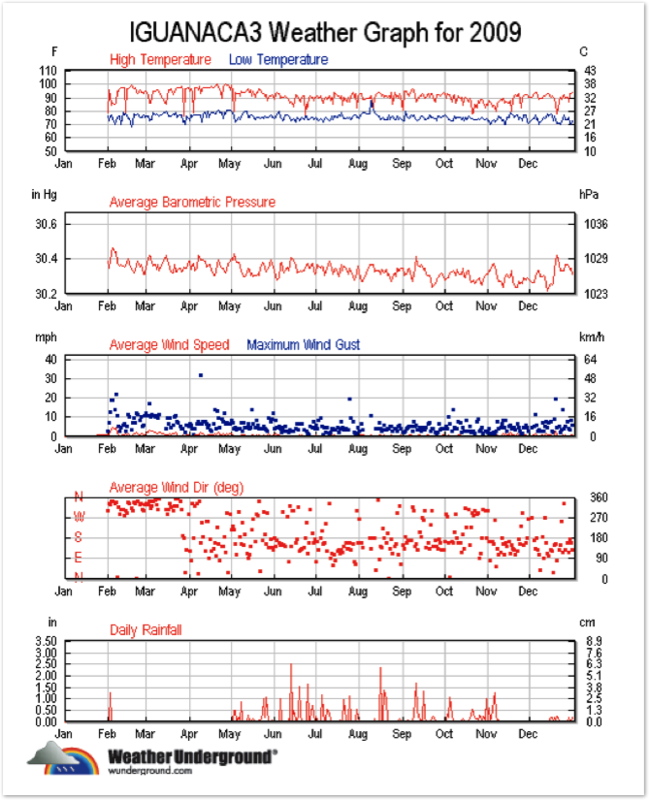 Rainfall Summary: This 3 year summary shows the rainfall months, and the difference between a regular season (2009) and El Nino season (2010). 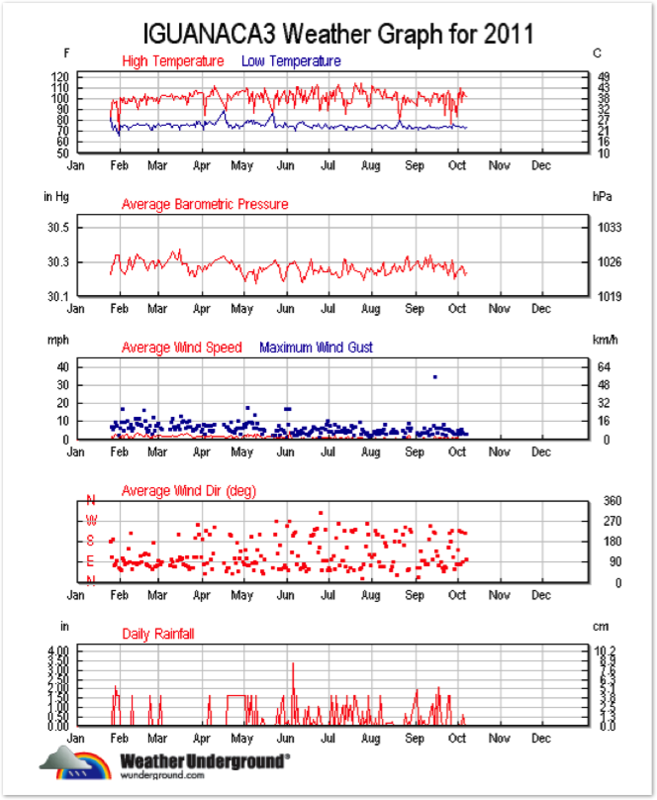 Rainfall: 2011: 92”. 2010 rainfall: 153”. 2009 rainfall: 45”.